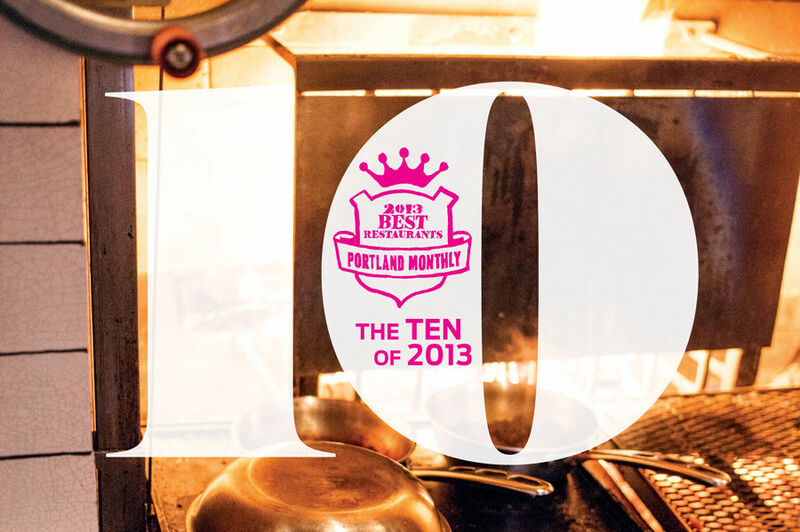 A new generation of restaurant talent is rising in Portland. 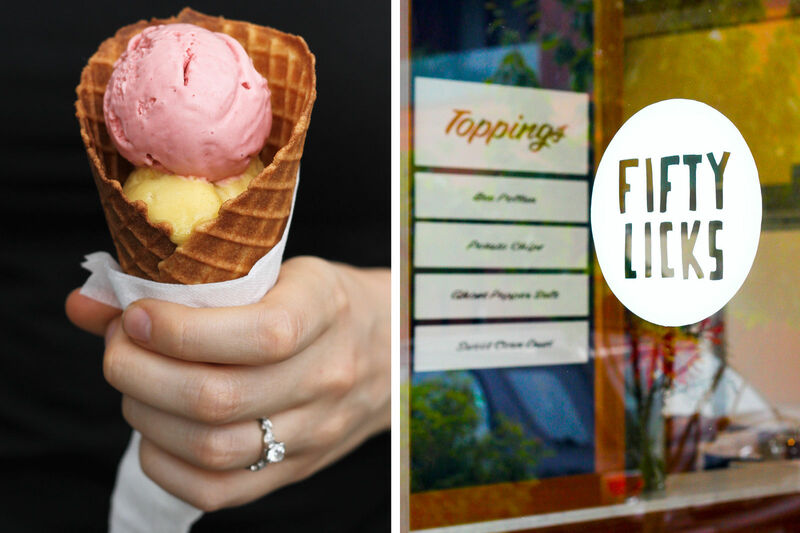 We prowled local kitchens and grilled top chefs to find the best: six standouts quietly cooking up inventive dishes, memorable moments, and big dreams. Where do great chefs come from? Hyperactive press and TV competitions present a fetishized vision of mystical culinary gods and goddesses who spring, fully formed, from the ether. But the reality, especially in Portland, is a bit more familial. 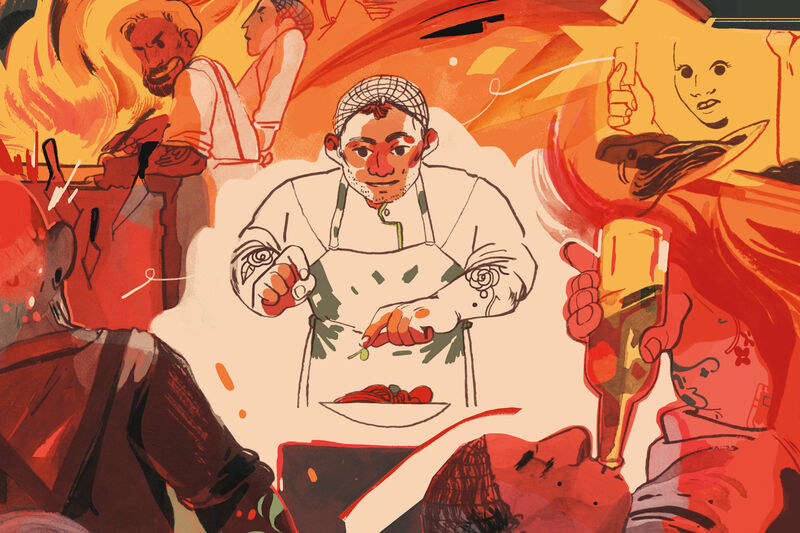 Most of the time, talented chefs emerge from years of sweating it out on the line in busy kitchens, cultivating their gastronomic leanings (and mopping floors, and managing food costs) with nary a tweet or TV spot to their name. “It’s time people found out that there are troops of able and talented cooks that make us chefs look good,” says James Beard Award–winning chef Vitaly Paley. Curious to discover under-the-radar wunderkinds searing and chopping their way to standout status, we asked a few local luminaries to turn the spotlight on the hardworking line cooks and pastry chefs who are still honing their skills but already shimmer with unique talent and drive. 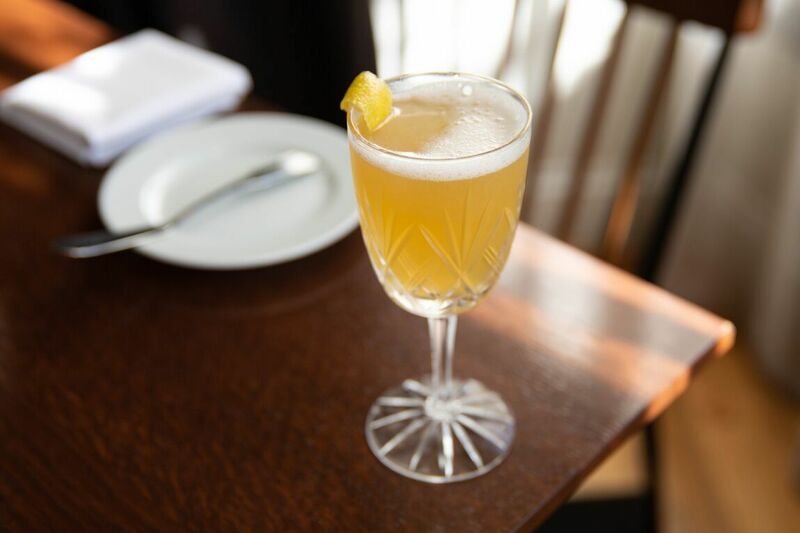 Answers were uniformly zealous, and ran the gamut from an iconoclastic pop-up dinner duo and a budget-minded preservationist to a local master of Cuban cuisine. 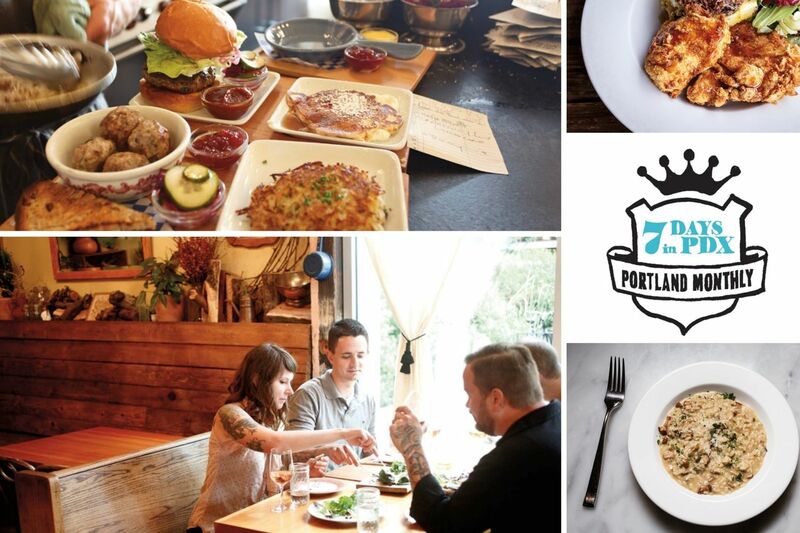 One thing is clear: Portland’s future is shaping up to be a deliciously eclectic feast. 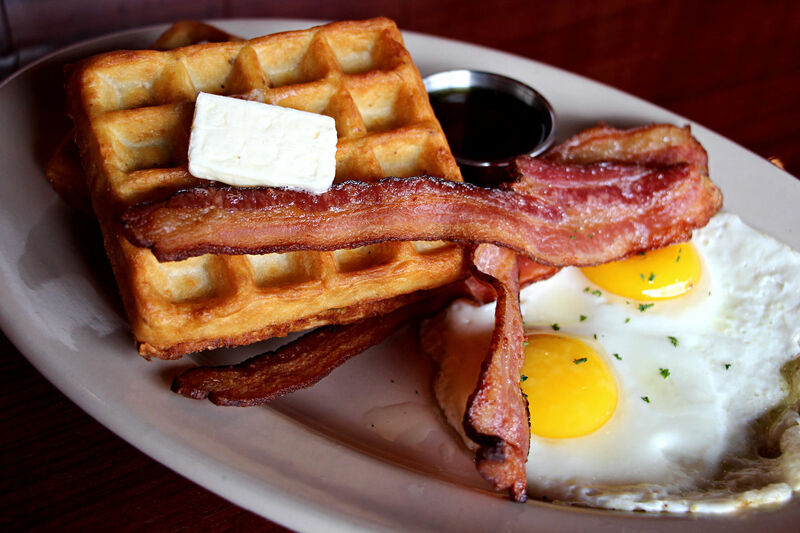 Read on to whet your appetite. “When I moved to Portland I decided I’d go to beauty school, be a cop, or go to Oregon Culinary Institute,” says Pablo Portilla. “I think I made the right choice.” Over the past 10 years, the baby-faced Texan has boiled crawfish on SE 82nd Avenue and sliced onions at the world-renowned Bouchon for Thomas Keller (a Napa Valley externship he describes as “the most intense three months of my life”). But it was the short stint in 2010 running his yellow food cart, Havana Café, that garnered him the most fans. At that little Richmond neighborhood kitchen, the always-smiling chef stewed up the authentic fare he ate at his Cuban grandmother’s dinner table, from oxtails and pressed sandwiches to vinegary, pressure-cooked ropa vieja. 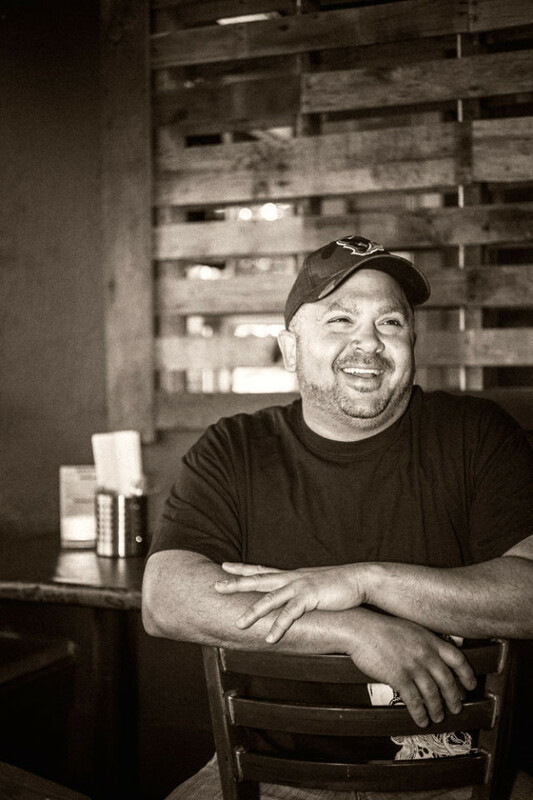 He shuttered the cart less than a year later to tend to family issues in Houston, but admirers of his meaty eats continued to lobby for Portilla’s return to the kitchen. 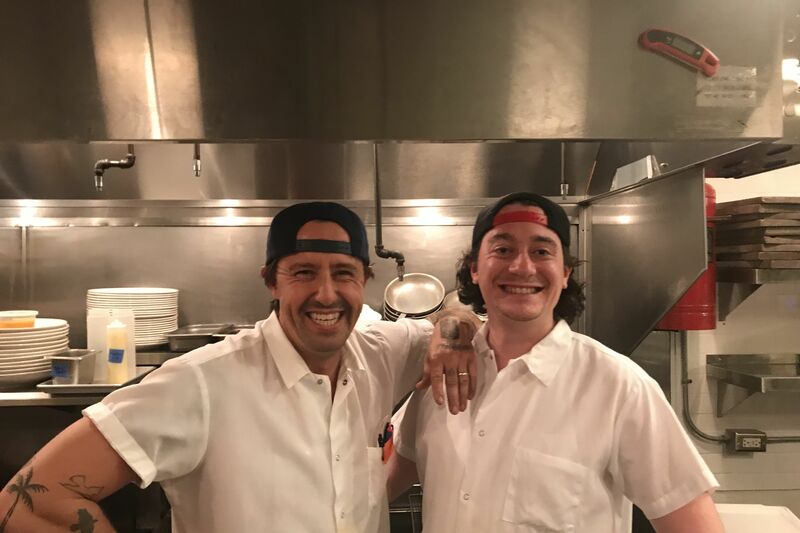 “He’s a renaissance man of the restaurant world,” says Mi Mero Mole owner Nick Zukin, who hired Portilla two years ago to run his own überauthentic Mexican joint, where Portilla’s two sons now work as well. Zukin trusts him so much, he made him a part owner of MMM’s second location, which will debut in Old Town in late 2013. We’re first in line for whatever these two cook up next. • Signature Dish: Speaking of that sandwich, though, it’s exactly what a Cuban ought to be: juicy garlic, lime and olive oil–dressed roasted pork, Virginia smoked ham, swiss cheese, and bread-and-butter pickles slicked with yellow mustard, all layered inside An Xuyen bread, pressed until crispy and hot. Served with steaming, golden tostones and Portilla’s fruity, deeply warming guava-pineapple ghost chile pepper sauce, it creates the perfect marriage of crunch and chew in every sweet, meaty, briny bite. Most people relax on their days off. Le Pigeon line cook Andrew Mace and Little Bird dessert doyenne Nora Antene used theirs to plan and throw a free, 10-course pop-up dinner for a table full of Portland chefs and food insiders, featuring everything from razor clam sashimi paired with trout roe and silky passion fruit custard to coriander-crusted foie gras adorned with grapefruit and caramelized white chocolate. 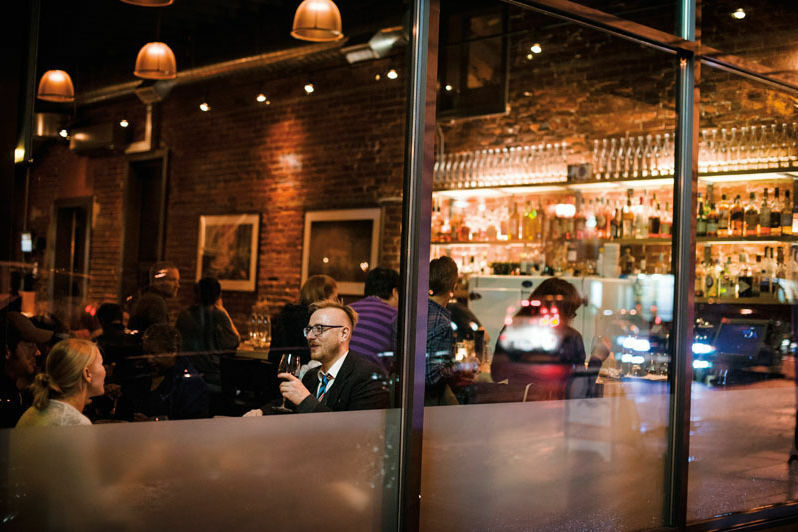 “Honestly, it was just a chance for us to play,” Mace says of the dinner he and Antene (who have since become a couple outside of the kitchen) threw at Southeast Portland wine bar Sauvage last March. “We didn’t realize how intimidating it would be. We were either really ballsy or really stupid.” Or, really delicious. 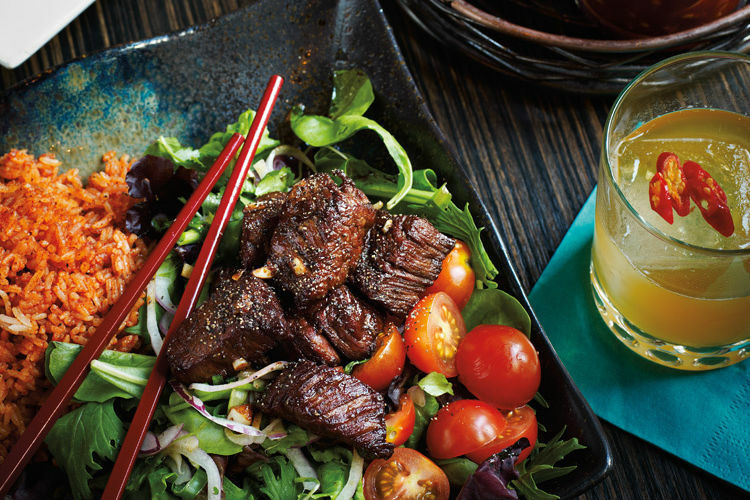 Within days, word spread of the pair’s innovative, free-spirited dishes. (At one point, they ignited dried bundles of herbs as an olfactory counterpoint to a charred fruit dish.) “I was blown away with their creativity and thought process,” remembers Ox’s Greg Denton. He liked the dinner so much, he asked Mace and Antene to sign his menu for posterity. 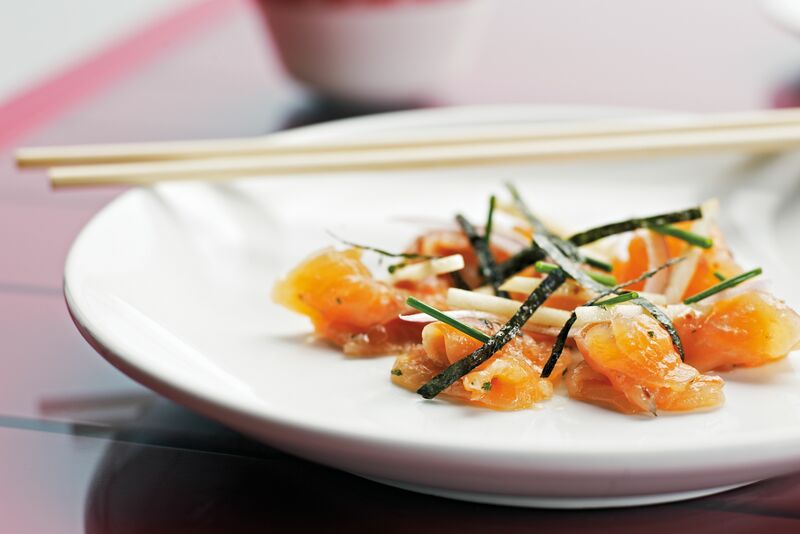 • Signature Dish: A landscape of crisp, salty trout skin topped with luscious trout tartare, compressed shallots, and clouds of briny, smoked-oyster whipped cream with baby mustard greens is Mace’s perfectly balanced showstopper. Antene excels at deliciously weird fever dreams like brown-rice frozen mousse with green apple. 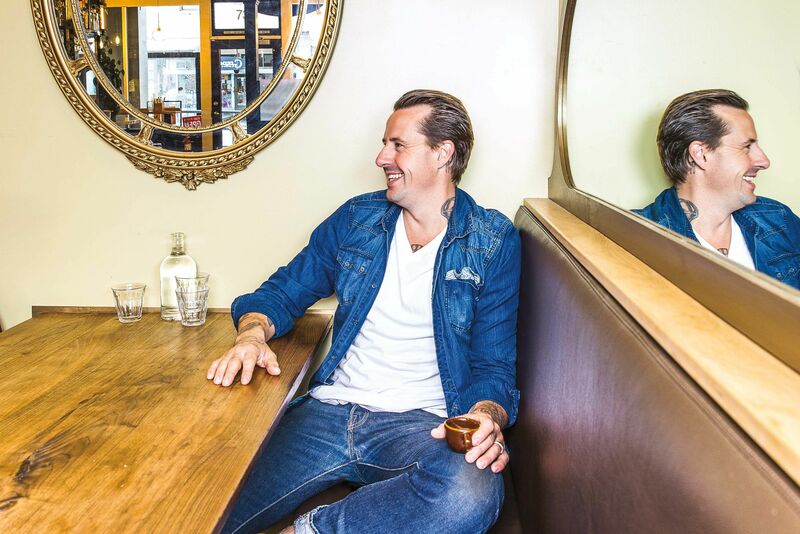 Six years ago, with a toddler at home and nearly a decade of late nights spent grinding away on the line at some of Portland’s top kitchens, Josh Scofield was ready for a change. “What is my niche? What can I add to this field?” the frank, budget-minded chef asked himself. “I was searching for a second act, a new identity,” he says. He happened to find it in his own basement, where he “MacGyver’d” a curing facility and, with the blessing of his Toro Bravo boss John Gorham, began experimenting with salami and sausage recipes. 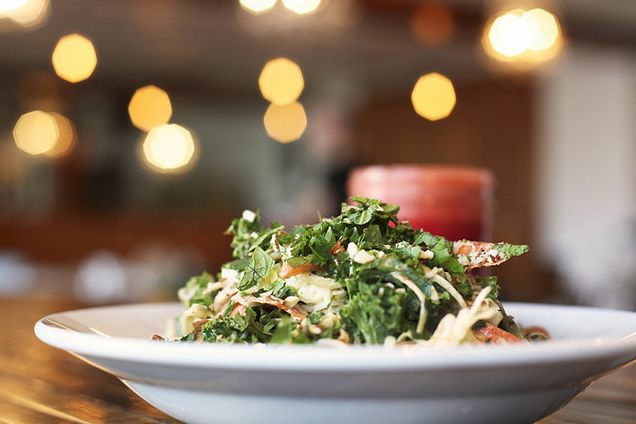 Today, Scofield is a hub of Gorham’s ever-expanding restaurant operation: his cured and fermented goods grace nearly half the plates at Toro Bravo, Tasty n Sons, and Tasty n Alder. With a focus on lesser-known Spanish-style sausages and the techniques of curing whole muscles, Scofield is helping boost Portland’s charcuterie game. But just as important, he’s also steadily pushing Portland’s favorite Spanish-leaning restaurant group toward total pantry self-sufficiency. He’s curing everything from whole pork loin lomo smeared with Viridian Farms piment d’Espelette to fennel pollen–laced pepperoni sticks, preserving local tuna, brining pickles, and fermenting kimchi in the creepy subterranean warren of rooms beneath Toro Bravo with the zeal of a true believer stockpiling ammo for a zombie invasion. “If we can make a product in house cheaper and better ourselves, let’s do it,” he says, proudly pointing out the curing and fermentation rooms he and Gorham built last year. Next up? He’s thinking of tackling cheese. 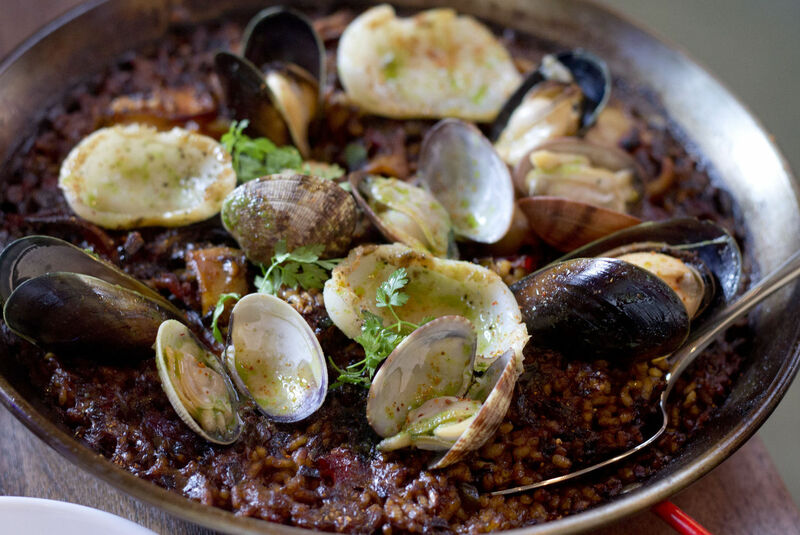 • Signature Dish: A plate of soft, hot paprika–spiked Majorcan pork belly sobrasada drizzled with honey, or a few rounds of fabulous Spanish chorizo, bright with fermented tang. • Food Fantasy: “We’ve talked about taking [Toro Bravo] retail,” Scofield says, cautiously. 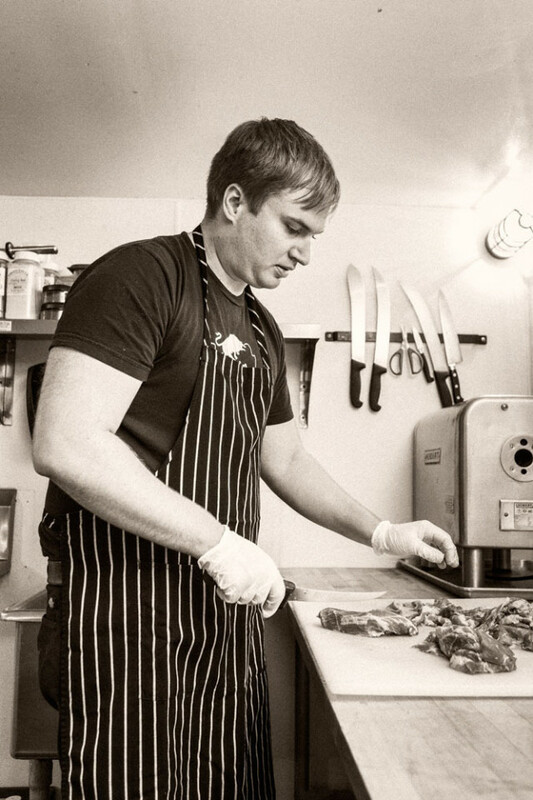 He imagines a mash-up of a European charcuterie counter and Gartner’s Country Meats, the beloved white-tiled butchery in Northeast Portland, featuring everything from affordable sausages to prepared foods, fresh stocks, and lunch meats for the kids. “A busy, no-nonsense place. Take a paper number and have your order ready,” he says. Toni Guyer’s secret weapon: butter. “The boys in the kitchen all tease me about it,” she says, with a nod to the quart tubs lined up at her fish station in the Paley Place’s kitchen. 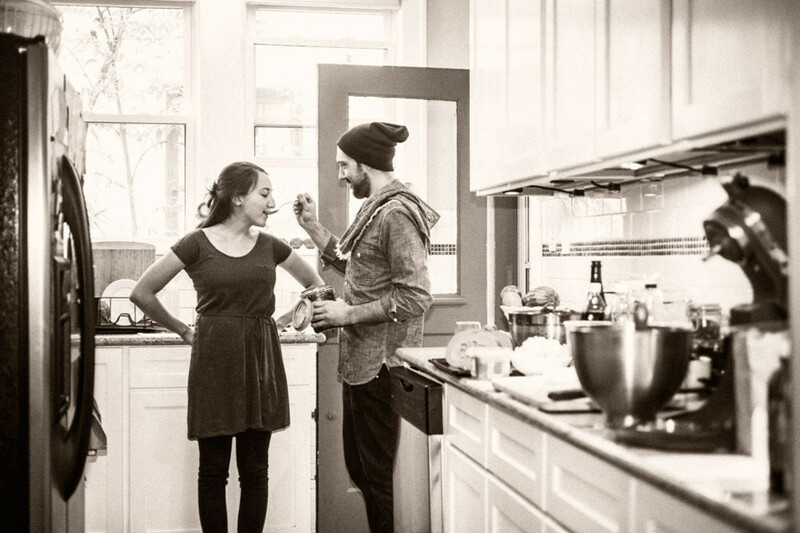 “I go through about three of these a night.” She laughs and then quickly returns her attention to the stove, where she’s pan-searing the world’s most perfect scallop. 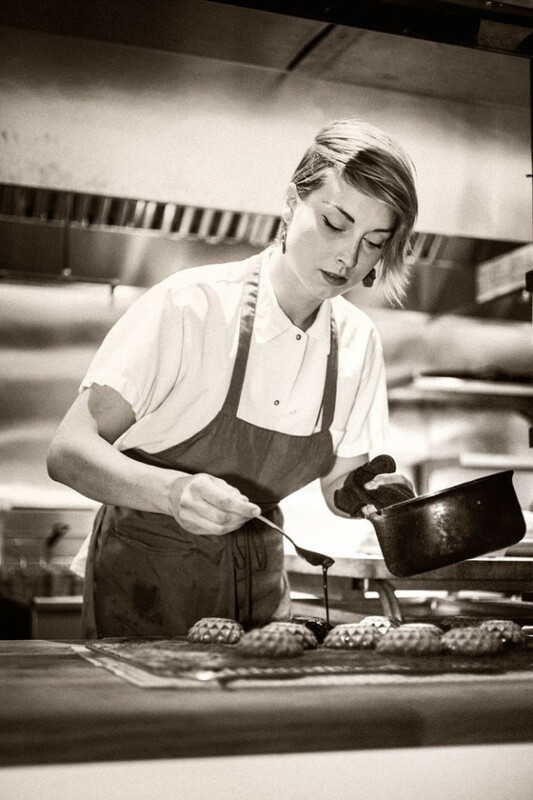 Guyer’s love for straightforward yet luxurious ingredients isn’t groundbreaking—but her preternatural focus and appetite for technical excellence help the Nevada-born chef shine with deceptively simple bistro fare that hits every pleasure center. • Signature Dish: Guyer’s perfect scallop ends up alongside a few spears of emerald asparagus atop a bed of orzo with a surprisingly delicate camembert sauce, studded with thick nubs of bacon and bright, acidic slips of ruby-red tomato she dried in the oven for six hours. With dishes like these, she’s a master at balancing clean, harmonious flavors and over-the-top comfort. 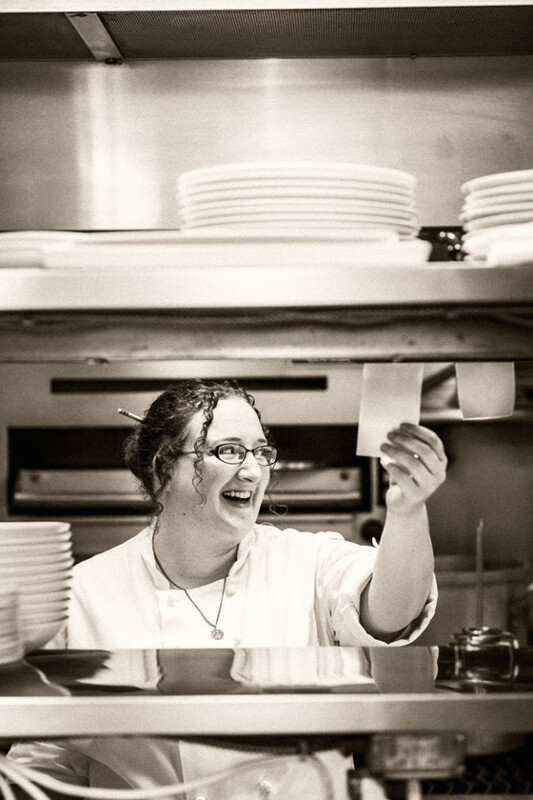 Mindy Keith owes her chile-spiced pastry gig at Xico to a surprise birthday cake. In 2010, the relentless baker was juggling jobs at two local cafés, private catering work, and shifts as a food runner and host as Nostrana. “I was making my own tortes, cheesecakes, and different little creations and surprising people at parties,” she says. 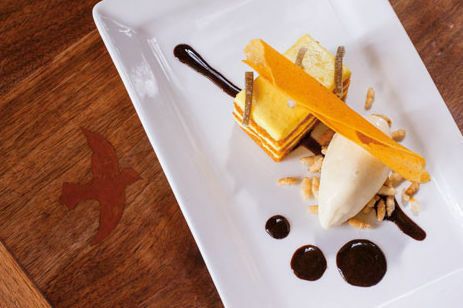 “I’d bring in cookies for the Nostrana staff, too.” One of her tasters was Nostrana general manager Elizabeth Davis, who, continually impressed by the former artist’s “creative” desserts, snatched her up when she opened her own restaurant, Xico, in 2012. Since then, it’s been a match made in cross-cultural dessert heaven. Instead of sticking to her tested roster of treats, Keith married her whimsical aesthetic to Xico’s authentic Mexican flavors. “I like things that are really...involved,” she says, gesturing to a white plate holding a puckery Mexican lime paleta, a shot of Sombra mezcal, and two tiny mounds of dried chile and sal de gusano (worm salt), served in a rocks glass. (To consume this little ode to Mexico, you upend the popsicle in the booze and sprinkle, nibble, and sip as it melts into a wonderfully sweet, salty, smoky liqueur.) Other creations feature Woodblock cocoa nibs in a lacy chocolate brittle so intense it’s reminiscent of fried cheese, or the humble Chick-O-Stick transmuted into a peanut-buttery coconut truffle.